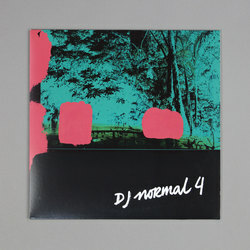 DJ Normal 4 - Exoticz. Vinyl EP. Bleep. The excellent Music From Memory sub-label Second Circle (Dazion, Androo) drop a four-track EP from Aiwo Records boss DJ Normal 4. Exoticz features some tracks laid down around the start of the 2010s as well as a new cut and a remix from Philip Otterbach under his Ottertasia moniker. Both the Aenx-featuring ‘Aeo - Rhythm Mix’ and B1 ‘Kalaidoka’ are classic Second Circle fodder. Gently propulsive Balearic grooves, buoyant basslines and melodic synths combine to make club jams as psychedelic as they are danceable. Ottertasia maintains this vibe on his remix. The outlier is closer ‘La Arabia’, an acid/breaks jam that you’d associate with a label like Super Rhythm Tracks or CPU.